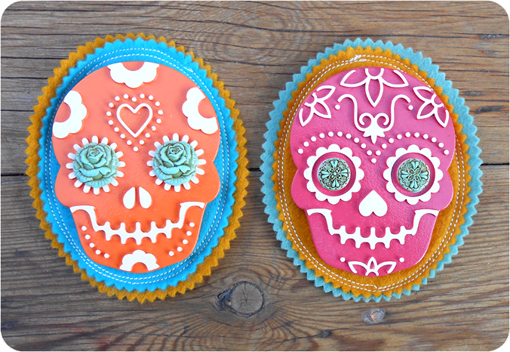 I have been working on these little sugar skull wall plaques for a while now. I love the Day Of The Dead celebration. We have had a lot of people die in our family and we found that this celebration is a great way to talk about the concept of death with the kids. It is basically a Mexican festival in which families remember and celebrate the lives of those lost. Instead of doing Halloween (which I personally find a bit ghoulish), when we were in South Africa, my friends and I had an annual Day Of The Dead party with dress-up and delicious food and decorations. So these little dudes are going to help us celebrate our first Australian Day Of The Dead. I will also make one or two for sale at The Southside Market in August, September and October.